Are you getting paid enough in 2017? Why are you really changing Job? ISS Ltd – Do you have the best agency working for you? Do Beautiful People get Hired More? ISS Ltd – Are You Defined By Your Network? 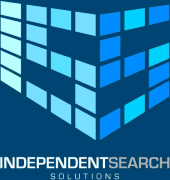 Independent Search Solutions is celebrating 5 Years in Business this Month and we wish to take this opportunity to thank all our Clients, Candidate and Suppliers for helping use make ISS Ltd one of the leading Agencies in the country. Hear is too another five years of finding great people for our clients……………..Thanks. Great article on Men’s Health, its all about the LinkedIn. http://www.menshealth.co.uk/living/money/how-to-land-your-dream-job Keep your Profile up to date and looking smart and we will find you. ISS Ltd would like to give a big thank you too all our clients, candidates, suppliers and providers that have made 2014 a great year for our company. We look forward to a successful trading year in 2015 and wish you all a well-deserved break over the holiday period.